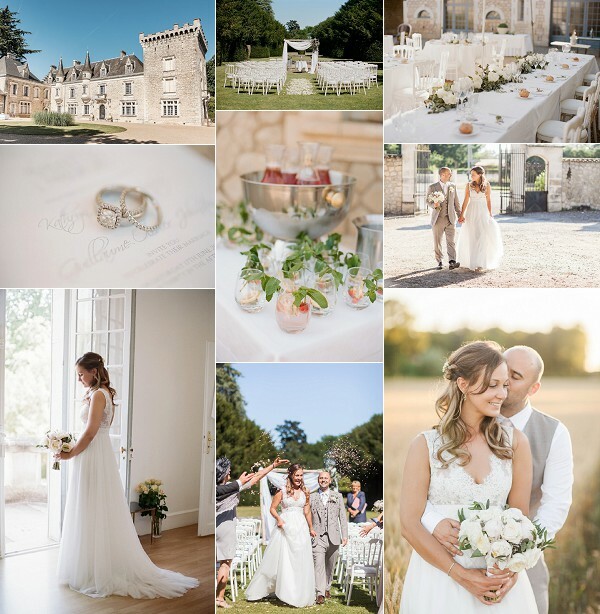 We are spoiling you today here at French Wedding Style with this lovely Chateau de la Couronne real wedding as it contains not one but two of our FWS vendors… the wonderfully talented wedding photographer Katy Lunsford who is based in France with her family and who captures her couples’ gorgeous days with a fine art feel as you’ll see in this beautiful set. 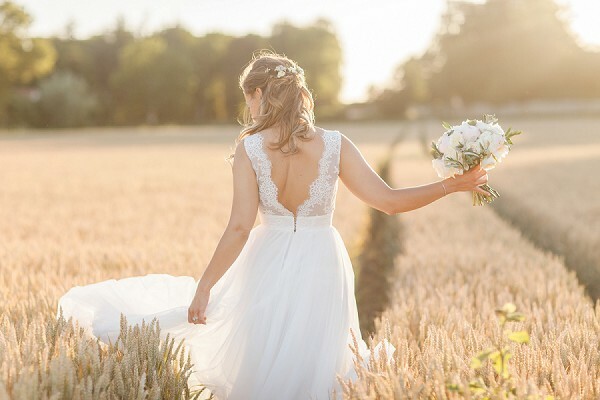 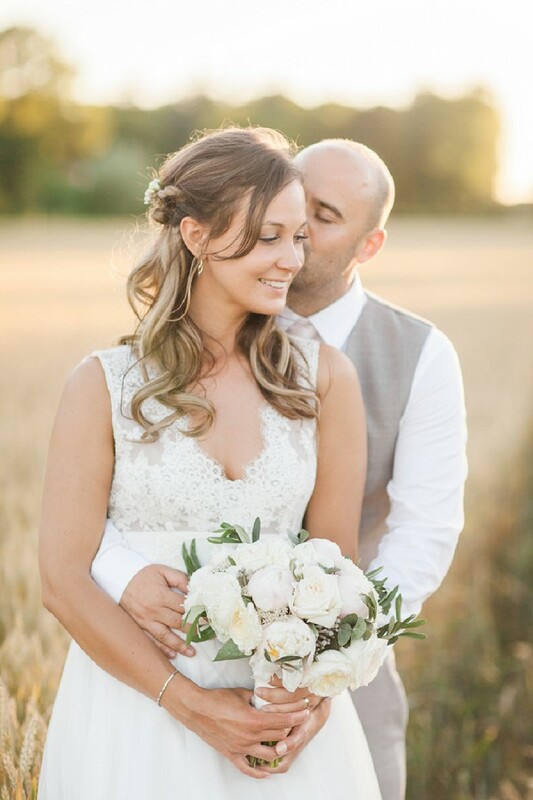 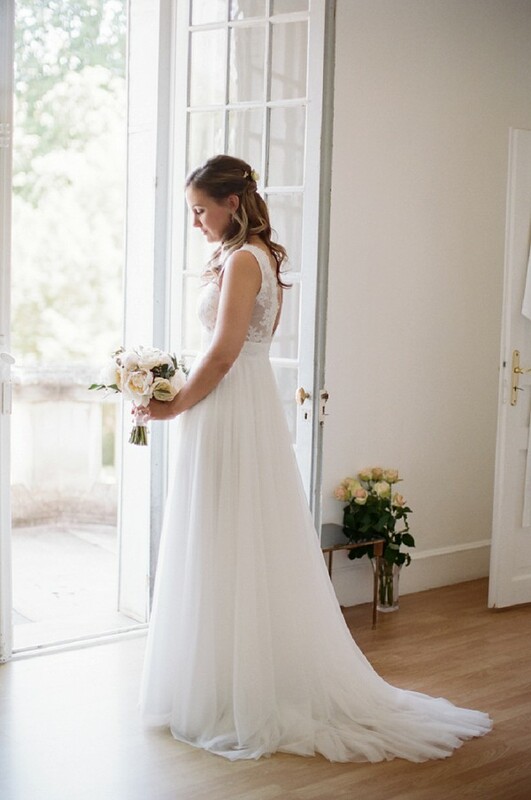 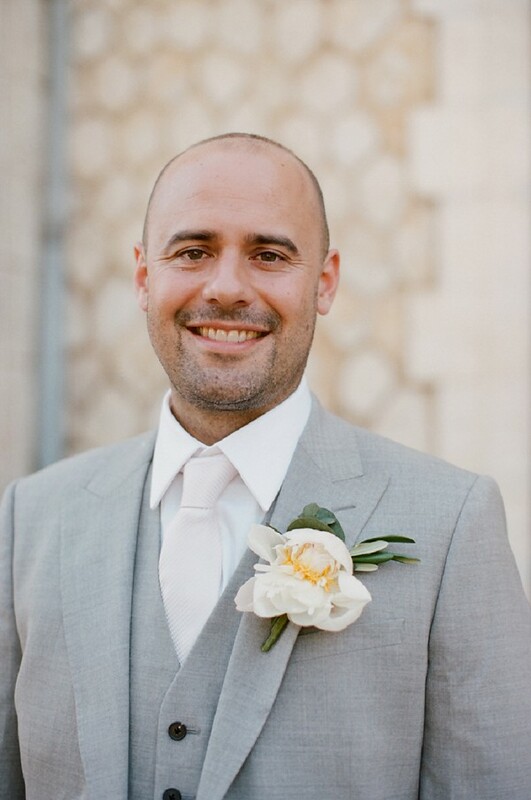 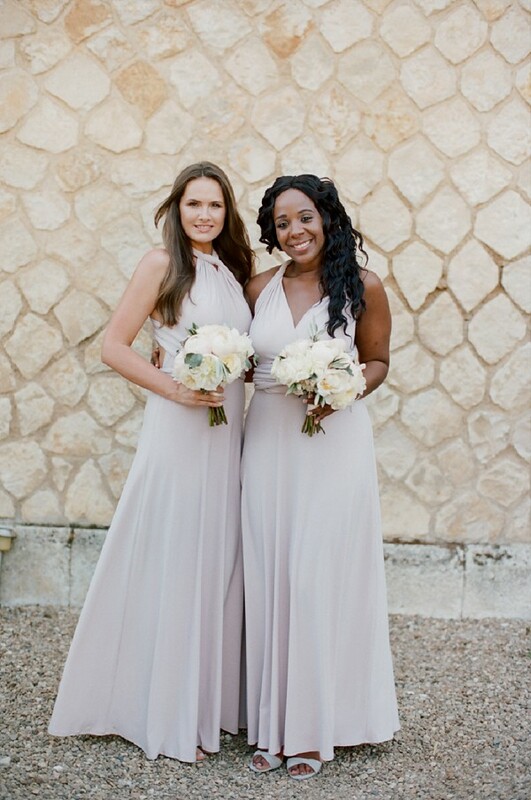 “My photographic style reflects my love of France – the beautiful soft tones, the gorgeous golden light, the landscapes and architecture, the outdoor lifestyle and sharing beautiful times with good friends and family” and the simply amazing florist French Flower Style who is highly sought after by her brides. 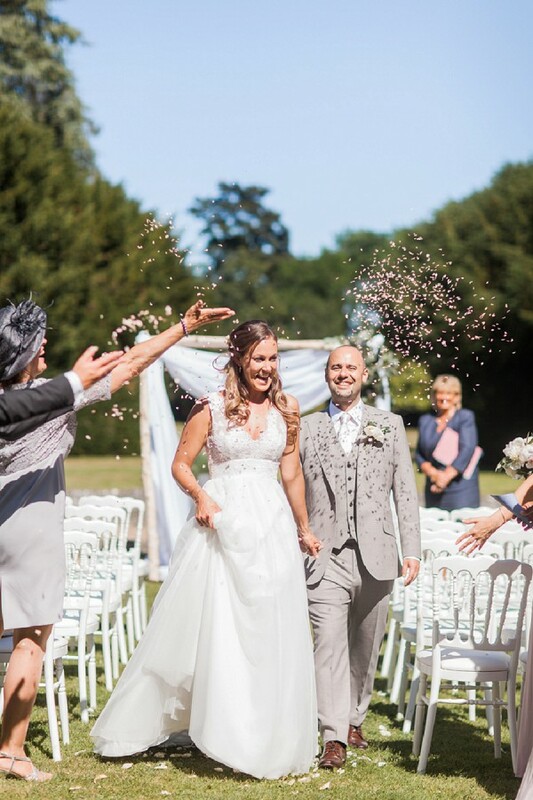 With 20 years of floristry experience you can be confident that Lisa can transform your venue with an array of beautiful quality blooms. 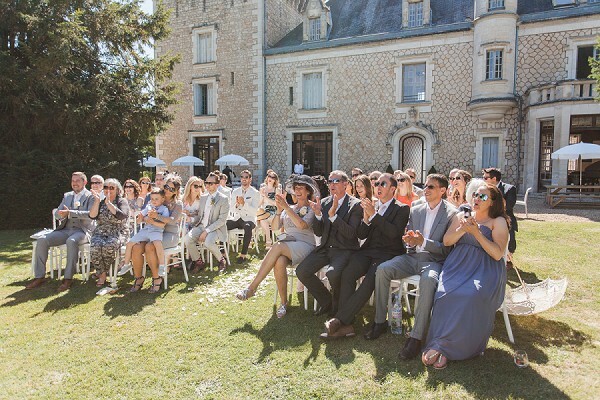 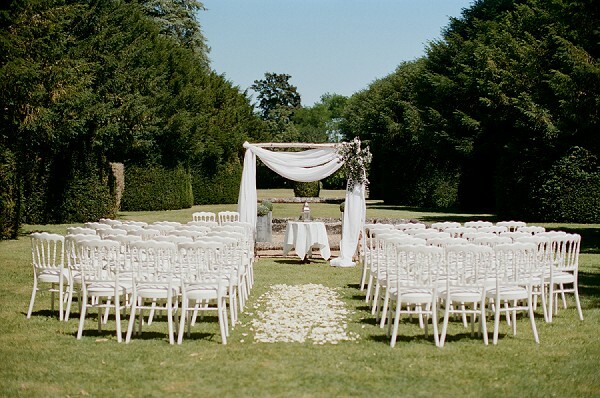 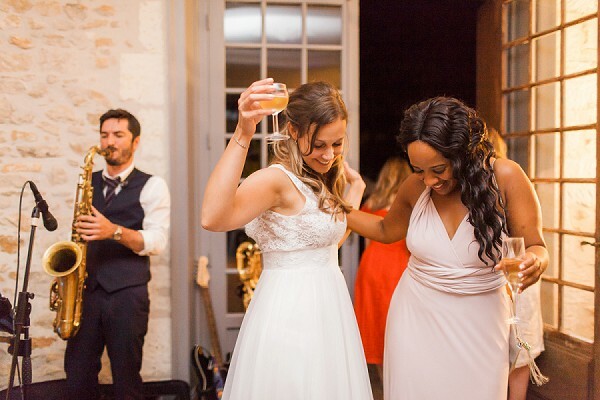 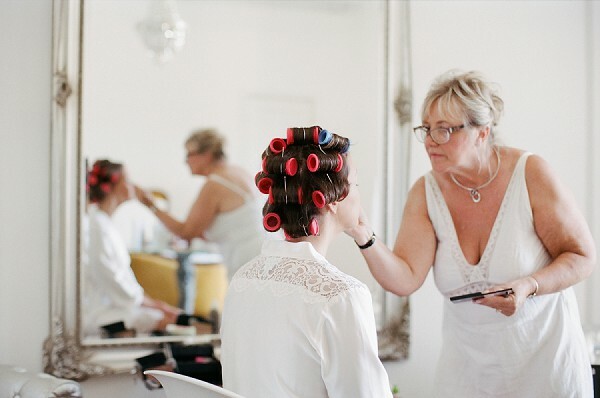 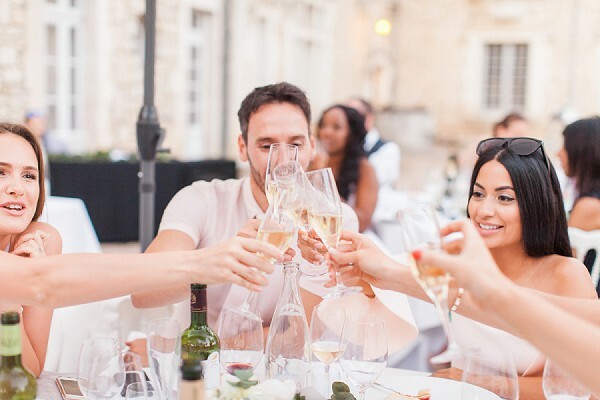 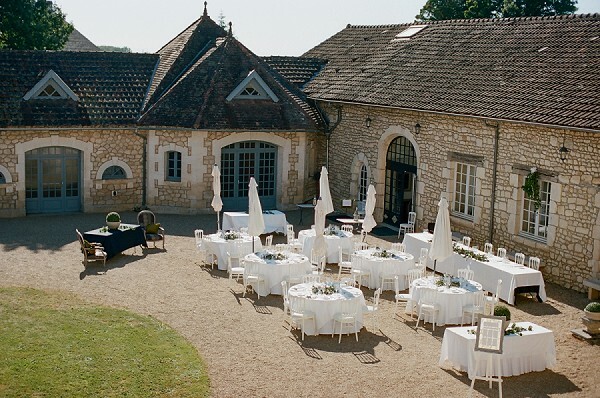 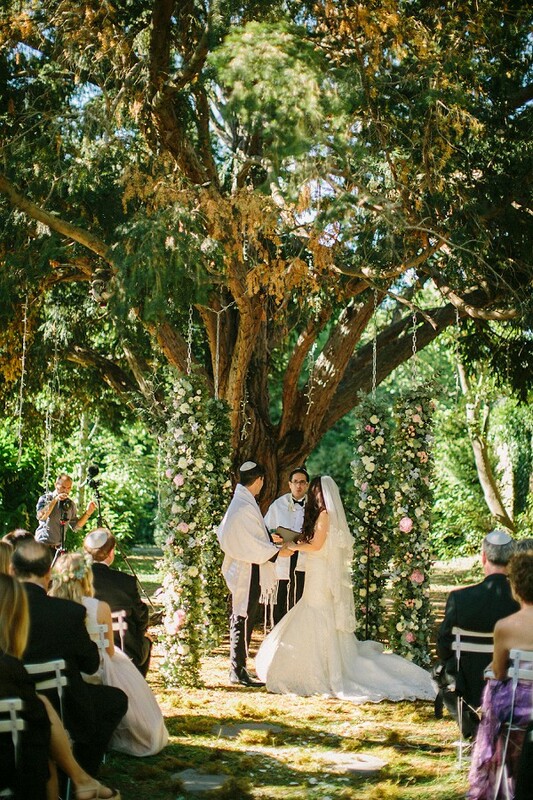 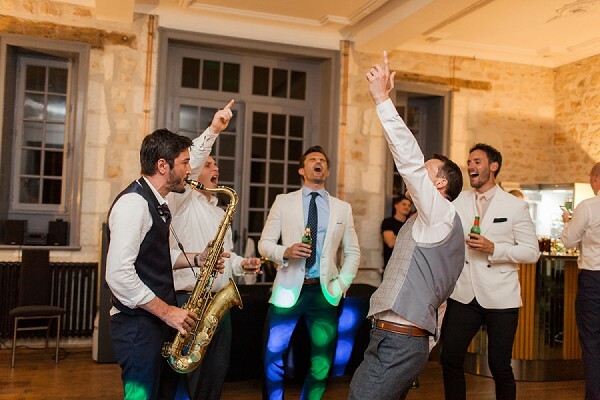 The whole day was held at the breathtaking Chateau de la Couronne, set within 5 acres of private grounds and on the edge of a pretty village in the south west of France. 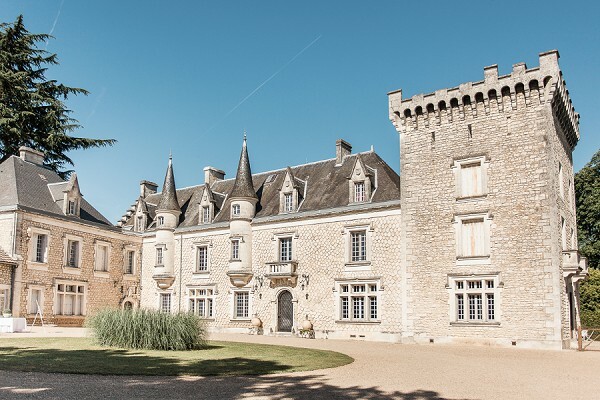 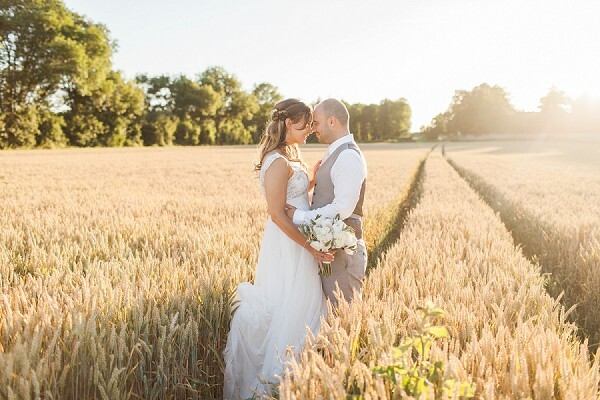 As you will see from the images below the chateau and its grounds are the perfect place for you, your family and friends to enjoy an epic destination wedding, throw in some stunning French weather, a glorious sunset and a corn field (yes, you read that right, keep reading to see for yourself!) 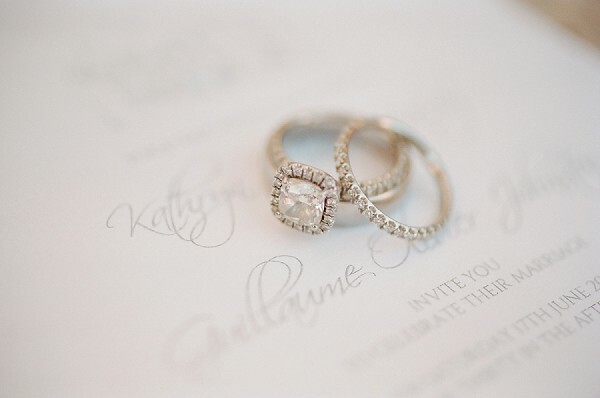 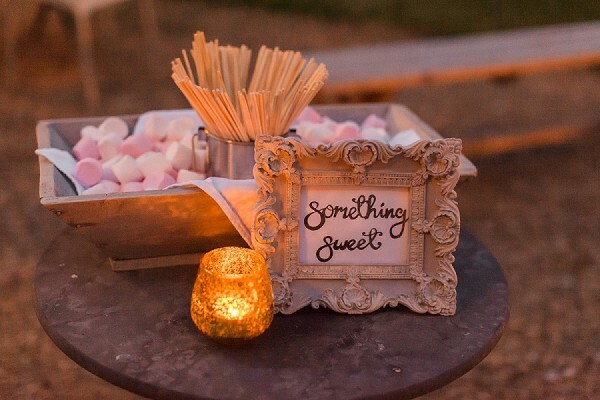 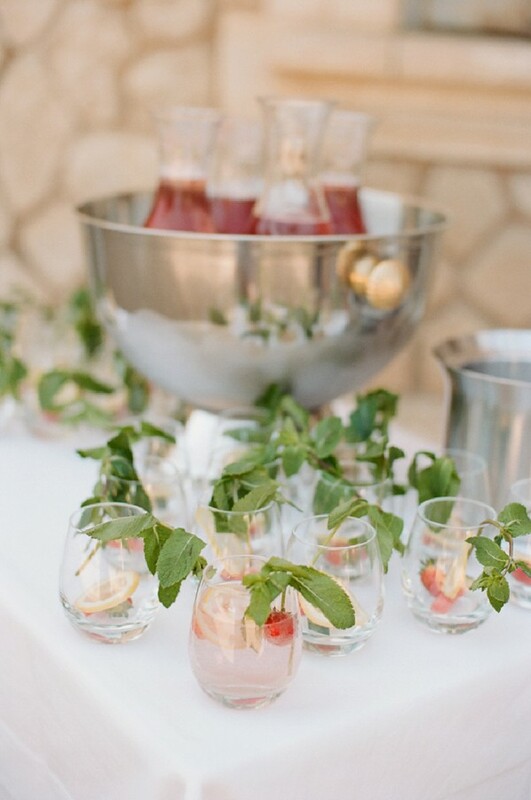 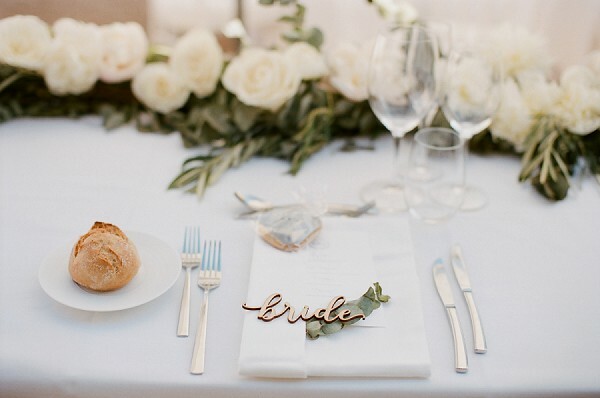 and you’re in destination wedding heaven! 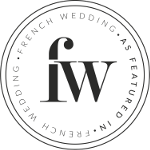 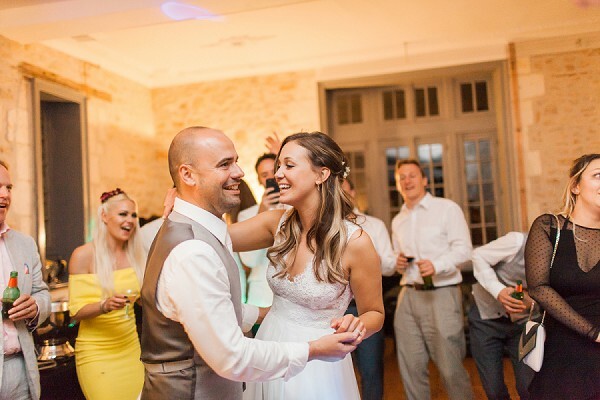 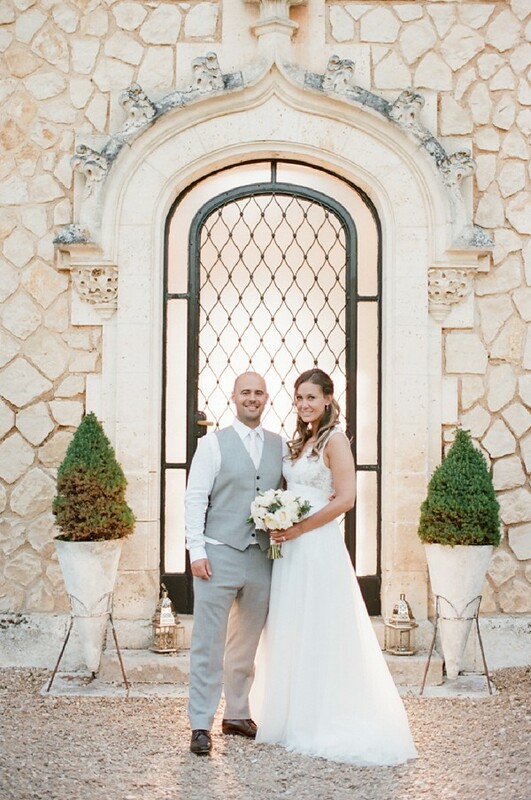 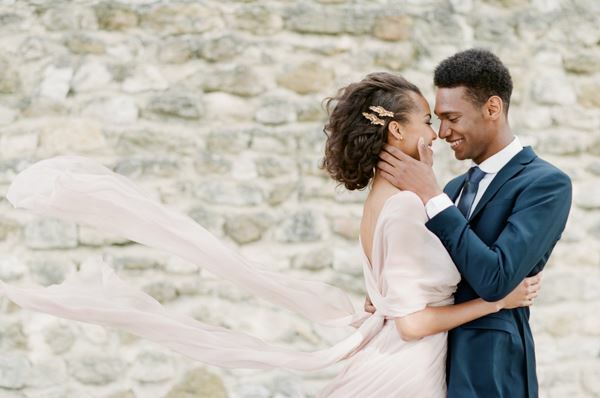 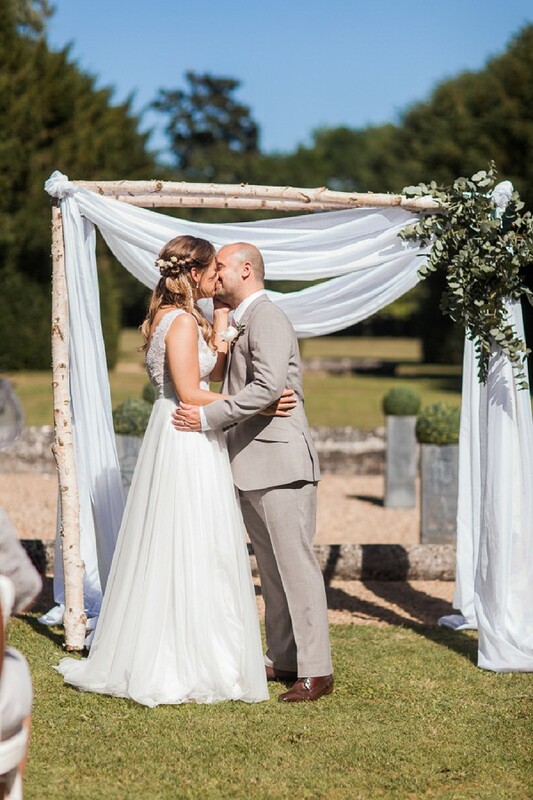 Congratulations Kathryn & Gui from everyone here at French Wedding Style! 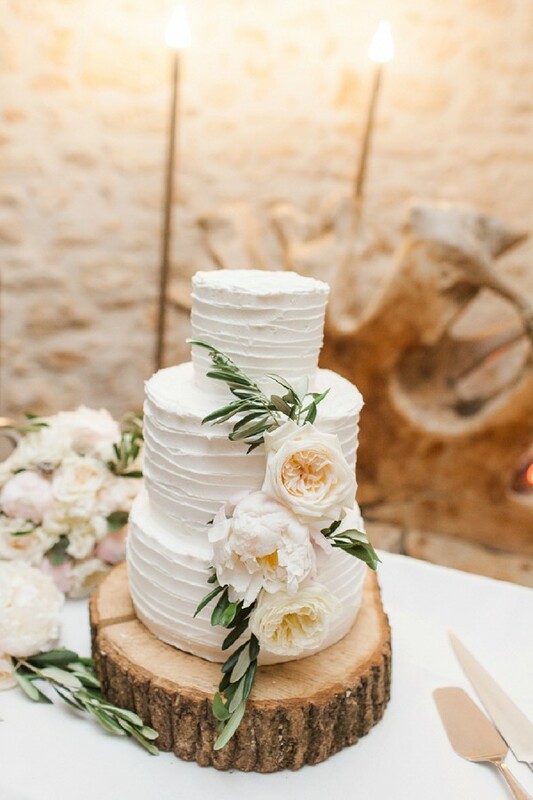 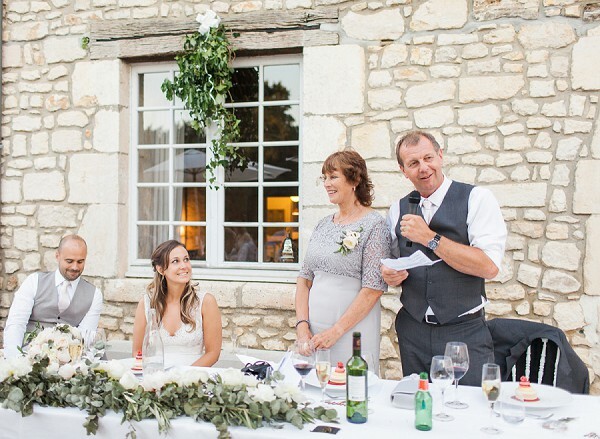 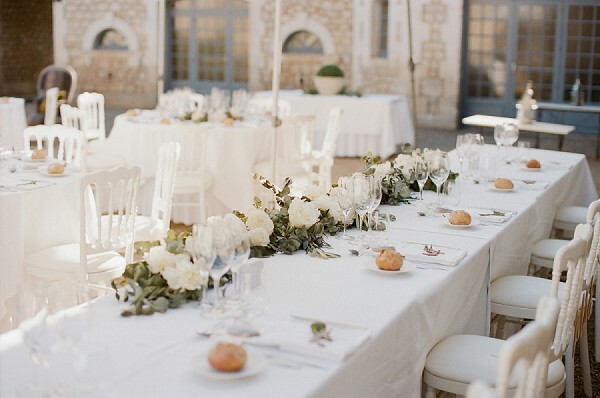 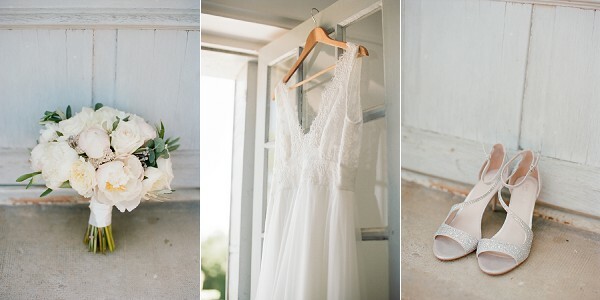 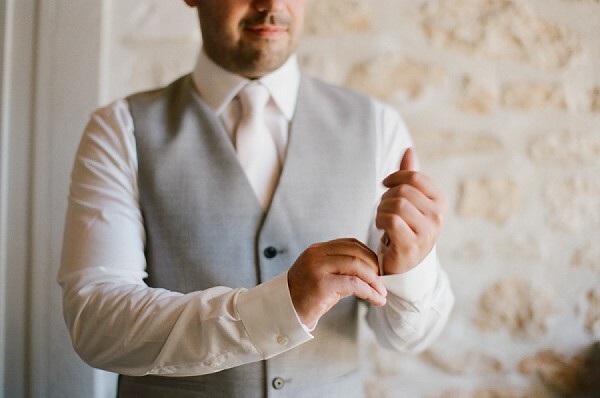 For even more Charente chateau wedding inspiration check out this pretty rustic wedding in Charente.